Gazelle The Horn > Testing Category > Happy 10th Birthday, iPhone! If it wasn’t enough to think that most of the population was ringing in a new millennium 17 years ago, the iPhone turns ten years old this month. To celebrate a decade of the ever-evolving digital companion we’ve come to rely on, here’s a look back at the first iPhone ever introduced in January of 2007. 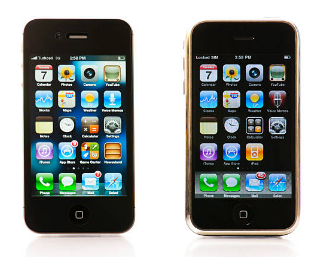 The revolutionary iPhone 1, or iPhone Original, was released to the public on June 29th, 2007. The idea was first conceived back in 2005 by the late Steve Jobs. He began toying with the idea of a touch-screen computer that eliminated the use of a physical keyboard and mouse. An afterthought led to an additional phone characteristic. Two years and $150 million later, the world was bestowed its first iPhone. 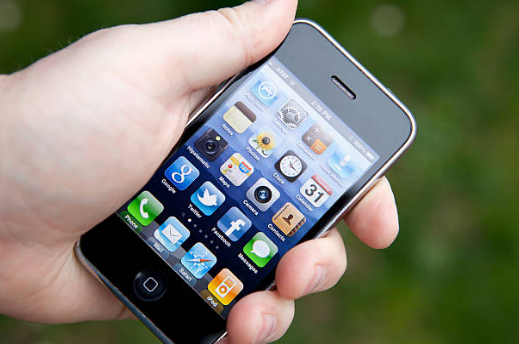 The iPhone Original utilized the OS 1 or OSX operating system. Placed side-by-side to the current iOS 10, Apple has come an insanely long way with its engineering and user compatibility. The 3.5” display of this first model was a huge step from the smaller phone displays of the mid-2000’s. Apple’s upped the ante with a 4.7” display for the latest iPhone 6/7 and 5.5 for the iPhone 6 Plus/7 Plus. In addition to display, let’s talk pixels. The iPhone 1 entered the scene with a 320 x 480-pixel resolution. This resolution has tripled in quality count with the iPhone 7 Plus boasting a 1,920 x 1,080-pixel display. By now, most are accustomed to the 32-256 GB range for the iPhone. The first iPhone packed a punch at the time with a mere 4-16 GB storage capacity. Whether you’re a professional photographer or avid Instagrammer, you’d be able to see the drastic difference between the iPhone original’s 1.9-megapixel camera and the iPhone 7’s staggering 12.2-megapixel count. Among several other improvements, the iPhone has seen its fair share of color changes, increased RAM, a front-facing camera, and an array of other additional conveniences to stay on par with constant tech advancement. From the tech buffs rejoicing in the progression of motion processors to global emoji enthusiasts connected by a common language, there’s no doubt the iPhone has had an astounding effect on the world over the last ten years. As such, much anticipation is set forth for this iconic smartphone and what it will bring the public in the years to come. Looking to upgrade to the latest iPhone or say goodbye to your old one? Browse through our inventory to see which iPhone is right for you, or see what your current one is worth on our trade-in store.